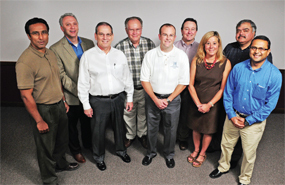 Members of the steering committee of the recently created Indo-Kentucky Chamber of Commerce are Raja Bhattacharya, from left, Richie Sanders, Steve Garrett, Fred Barkey, Nick Cooke, Rodney Rogers, Debbie McCarty, Ashwani Sarvaria and Vikram Patel. With operations up and running at Kentucky Copper in Morgantown, and groundbreaking underway at UFLEX in Elizabethtown, Indian-owned manufacturing has been added to the roster of international companies doing business in the Bluegrass State. According to Deputy Commissioner Erik Dunnigan of the Kentucky Cabinet for Economic Development, Kentucky offers its Indian business partners stable markets, an affordable infrastructure and attractive tax incentives. But as importantly, by locating in the region, Indian companies benefit from a direct access to North American markets. Kentucky Copper already has clients on the East Coast and will produce wiring for high-speed rail as well as innovative components to upgrade the energy grid at its $32 million facility. UFLEX is spending $180 million in Kentucky to supply North American food retailers with a versatile polyurethane packaging material called PET film. 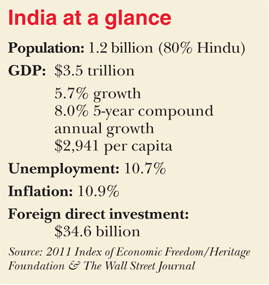 Unlike trade partners in China and Japan, Indians and Americans share a common language and democratic ideals. India does business in English. It has a parliamentary democracy headed by a prime minister, a bicameral legislative process and separation of powers among three branches of government. To capitalize on these synergies, those charged with economic development within the state have been busy networking across time zones and continents. Last fall, Beshear lead the state’s first official economic development trip to India. And now in south-central Kentucky, with support from the Kentucky Cabinet for Economic Development, a newly formed organization called the Indo-Kentucky Chamber of Commerce is helping facilitate the exchange of information so Indian companies can feel more comfortable doing business in Kentucky and vice versa. Franklin businessman Ashwani Sarvaria is one of Indo-Kentucky’s founding members and acts as something of a one-man chamber when he travels home to India. Sarvaria has lived in the United States for over a decade. Sarvaria recognized the need for a central organization to overcome cultural and physical barriers and to present both economies in their best light. He shared his insights with Dennis Griffin, who heads the Simpson County Industrial Authority, and Griffin immediately saw the value. 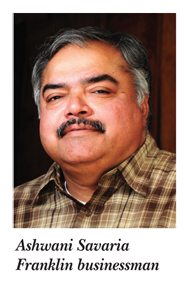 Bowling Green businessman Raja Bhattacharya came on board and the Indo-Kentucky Chamber of Commerce was born. The trio made a presentation to Rodney Kirtley, executive director of Barren River Area Development District (BRADD). They agreed to launch this pilot within the same 10-county region served by BRADD, but their intention is to eventually duplicate their efforts across the state and the region. The organization held a public unveiling event in March at the National Corvette Museum in Bowling Green. 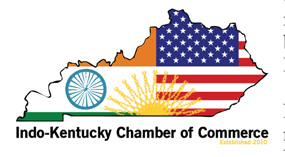 Despite its ties to economic development in state government, Bhattacharya said the Indo-Kentucky Chamber is a stand-alone entity and predicts that the organization will eventually become self-sustaining by charging fees to members, hosting paid seminars and even perhaps sharing in the profits from whatever trade deals they help establish. 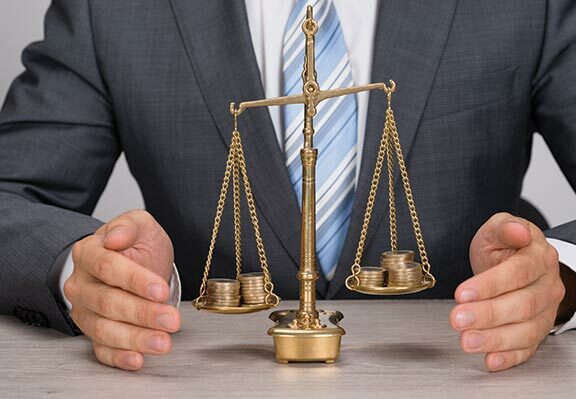 In India, Sarvaria has laid the foundation for partnerships between its largest Chambers of Commerce and his associates here in the United States. His goal is to help people there understand that America’s relatively high wages are mitigated by lower interest rates, affordable land and a stable infrastructure that includes cheap, reliable energy. The Indo-Kentucky Chamber will focus not only on explaining the benefits of trade between the two nations, it will take a hands-on approach in helping newcomers feel at home in both countries. Because, as Bhattacharya explains, this is far from a one-way street. “A lot of economic developers are trying to attract investors from India to come here and do business, but the other objective is that there are some companies from south-central Kentucky that either provide a service or a product, and so why not export that to India? 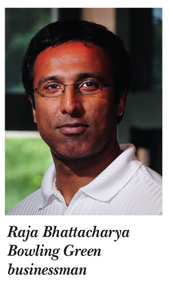 The U.S. domestic market is largely saturated, according to Bhattacharya, who graduated from the Western Kentucky University MBA program in 1998. 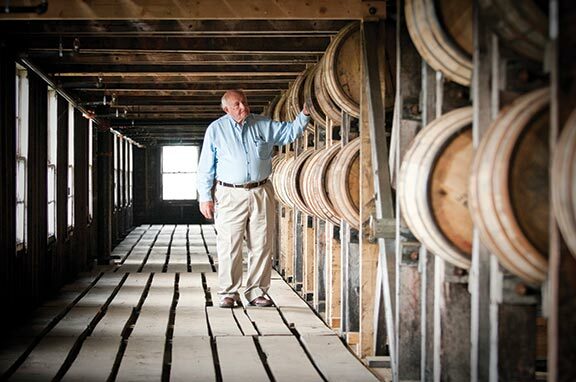 “Growth (for Kentucky businesses) will come from exports and finding new markets,” he said. India is the world’s second most populated country behind China. Land in India sells not by the acre but by the square foot. While major metropolitan areas are on the rise, its countryside still faces significant challenges from a business perspective. India’s rural infrastructure is sometimes non-existent. Locating even 100 miles outside the densely populated urban regions means a significant capital outlay for essentials like roads, water and power. And even with a shared language and similar systems of government, certain problems have emerged due to the differences in capital markets. In America, businesses and individuals alike live and die by their credit scores. However, if a relatively small business opportunity arises for an Indian company to relocate to Kentucky, it may not have the necessary credit history to secure bank financing. 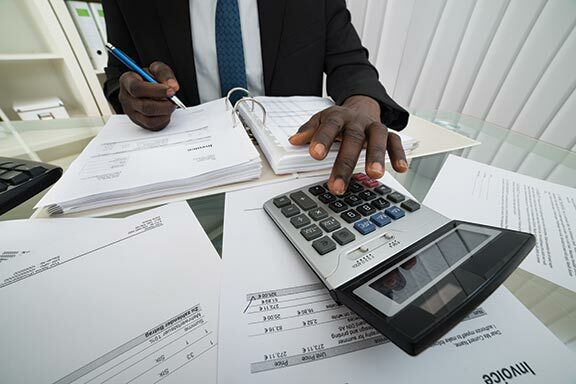 Sarvaria says many of his friends are faced with having to pay 100 percent of up-front costs, and this can be especially burdensome for smaller companies. 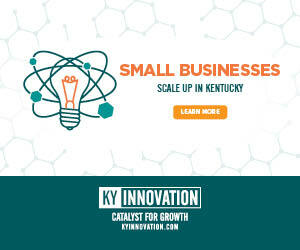 Larger and better-capitalized startups can secure funding through the international banking community, but Indo-Kentucky wants to work to include investors of all levels. Taking local partners is one option, as is investing in projects with significant collateral value such as hotels or convenience stores. Bhattacharya said they are not dismayed, though. “It’s a problem that I think will correct with time,” he said. And both men expect the Indo-Kentucky Chamber to be a part of that process.